Posted on April 10, 2019 Pray for Alise and Mark Juanes soon to be serving needs of tribal women and children in Thailand. Alise and Mark will serve at the House of Love and House of Blessing in Chiang Mai, Thailand. These ministries were established by IM missionary Kim Brown to serve tribal women and children coping with problems caused by AIDS, disabilities and migration from their rural villages to urban slums. 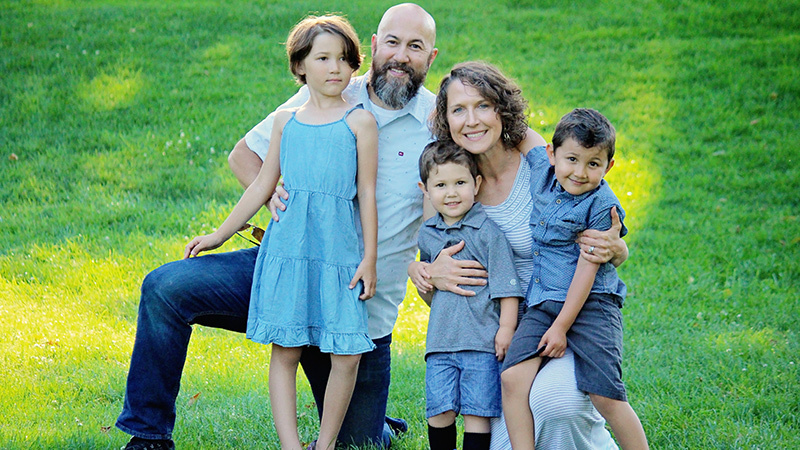 Alise and Mark’s ministry will focus on the discipleship and spiritual development of children and staff, administrative responsibilities and community development. Spirituality works differently. The goal, like in gardening, is to be fruitful, and there is only so much we can do to get that to happen. No matter how hard we try, we can’t control the process. We can’t force the Holy Spirit to work in us or through us. What we can do is cultivate an environment where we can listen to what God is saying. We can prepare ourselves by recognizing that God has control, not us. What God has in store for us is a mystery, we need to learn how to partner with that mystery. … How similar is that to our Spiritual lives? We don’t have control of what God is going to do or send our way. What we can do is put ourselves in a position where, when given the opportunity, we know how to respond and our response is automatic. Cultivating such an environment means we are not waiting for the Holy Spirit to do it all for us. It does not mean that we take it all on ourselves. It means that we have an ongoing relationship with God so that we can listen to what He is saying and partner with Him. Such a partnership makes us stronger than we could ever be on our own. … We have to set aside time to spend together in the relationship. When we go to Thailand, we cannot force people to put their faith in Jesus. No matter how much we talk or how much time we spend with some people, production is not the goal. Our role is to be fruitful; to partner with the mystery of God and be prepared to respond. People need to experience God on their own; our role is to create an environment where they will recognize and know how to respond when God’s works His mystery in their hearts.